National Security Agency first chief risk officer Anne (Chani) Neuberger. Anne (Chani) Neuberger, the granddaughter of Holocaust survivors and the daughter of a father who escaped communist Hungary, said she feels both gratitude toward the United States and a sense of commitment as an observant Jew. She is able to combine both as first chief risk officer at the National Security Agency. 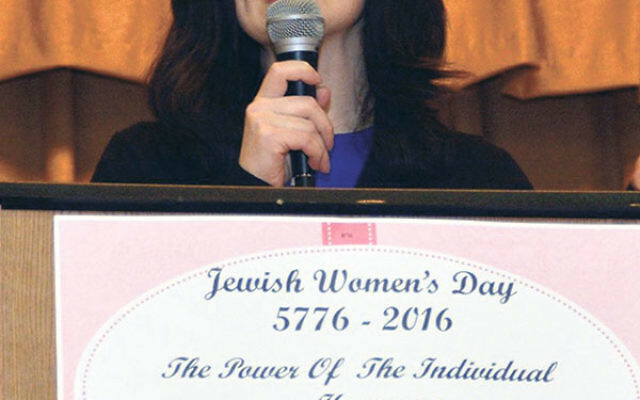 On Feb. 28, she explained how she balances family and career when she addressed several hundred women attending the Chabad of Western Monmouth County’s 29th annual Jewish Women’s Day Symposium at the Freehold Jewish Center. The Brooklyn native is considered a member of the NSA’s senior leadership team responsible for creating the methodology to assess and manage operational, technical, compliance, and political risk and implementing an enterprise risk management program to guarantee results. Neuberger began her government career in 2007 as a White House Fellow, working for Secretary of Defense Robert Gates. She said she was the first observant Jewish woman many of her colleagues had met and has often had to explain Jewish holidays and observances to them. In 2005, Neuberger founded Sister to Sister, a nonprofit serving about 1,000 single mothers and their children, which provides emotional and social support programs, job training, and mentoring. She also serves on the board of the House of Ruth, one of Maryland’s largest shelters and legal advocacy organizations for victims of domestic abuse. 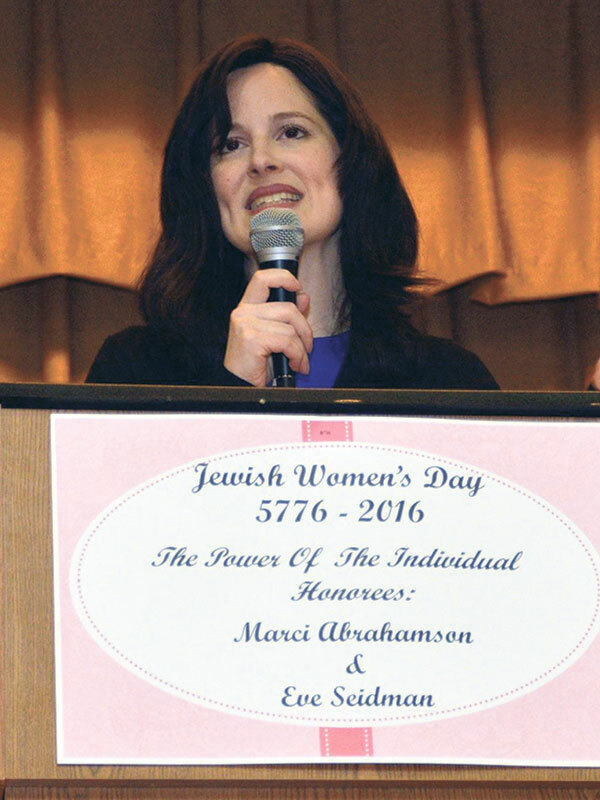 Marci Abrahamson and Eve Seidman, both of Morganville, received Eishet Chayil awards during the event for their volunteer work with Chabad, other Jewish organizations, and their children’s schools. Abrahamson is active with the PTO at Solomon Schechter Day School of Greater Monmouth County. She and her husband, Farrel, and son, Zachary, are active in Chabad’s Young Family group. Seidman is treasurer of the Shalom Torah Academy’s PTO, and is active in Batya, an organization for girls that helps build Jewish leaders. She and her husband, Neil, have three children, Brittany, 20; Philip, 18; and Joseph, 13.